"This hotel quiet good for who lookin place to stay near airp..."
"Airport shuttle was quite convenient." "The hotel provides free shuttle to airport." 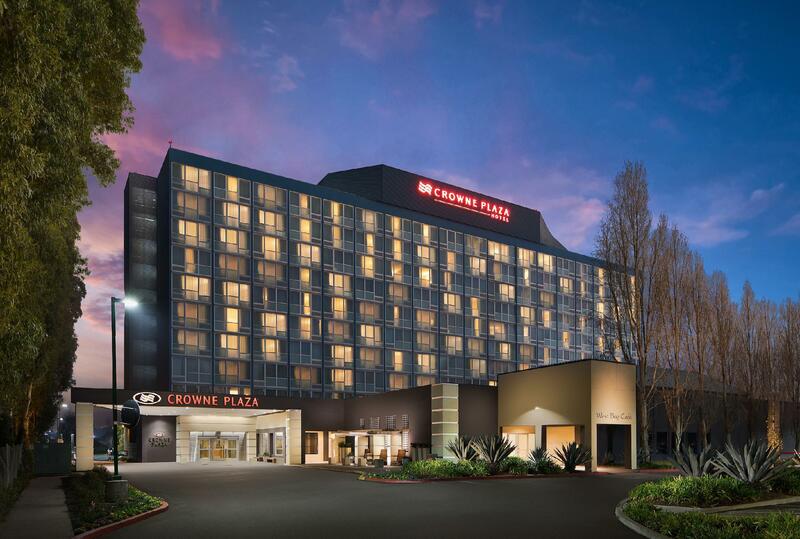 "Food was fine - some of us had cooked and some continental b..."
Offering a free transfer service to Burlingame city centre, San Francisco International Airport and BART/Caltrain transit station, this Burlingame hotel features on-site dining, an indoor pool and a gym. 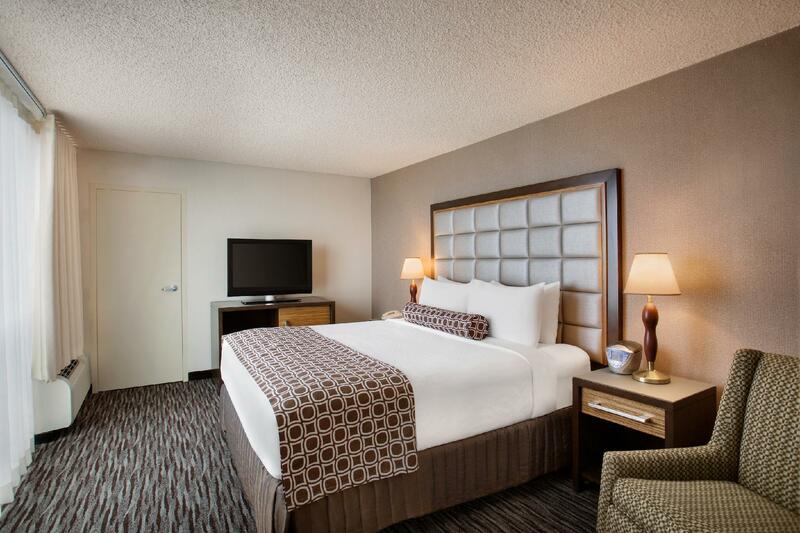 Featuring a flat-screen TV with cable, each comfortably furnished room at Crowne Plaza San Francisco Airport includes tea and coffee making facilities. All bright rooms provide a work desk. Using fresh local ingredients, Crowne Plaza’s West Bay Cafe serves delicious Mediterranean-style dishes such as plum tomato bisque. Guests can relax with a cocktail at the West Bay Lounge. Offering a variety of shops and restaurants, Union Square is 16.5 miles away. "It is close the airport, very neat and lovely room, friendly..."
we enjoyed a 2 night stay here and regularly used the shuttle bus to the airport to then get the train into san francisco. The staff were very helpful and also let us leave our luggage there before we went to the airport. Union square in front, Chinatown at the back, cable cars on the left and Market place on the right. Walking distance to Columbus and financial district. Restaurant choices everywhere. All within 5 minutes walk. Super Shuttle and Tours pick up in front of the hotel, hop on, hop off stops at the corner street. Perfect location Staff are very courteous. Comes with free breakfast (it could use some variety - stayed 7 nights and it get boring). I arrive late in SFO and need a night stay for quick recovery for my long haul flight... 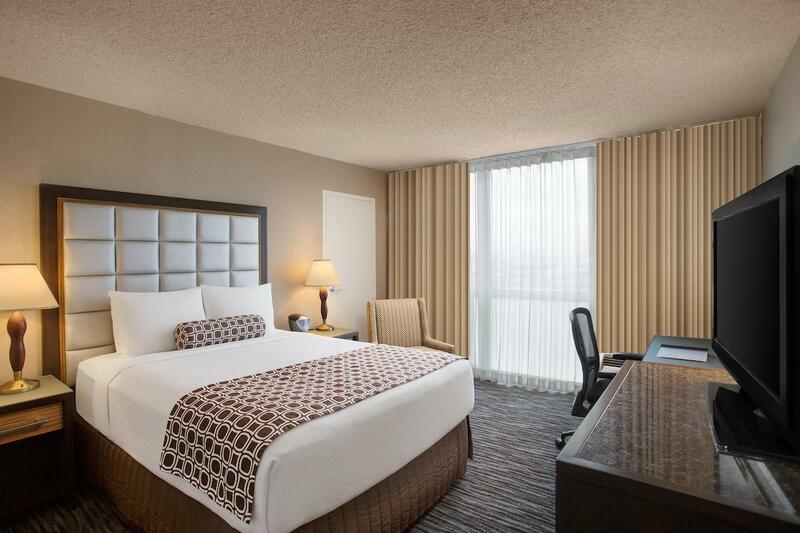 They have transport transfers, near SFO airport, Clean and Neat room, Friendly and patience. It ready makes me feel at home. I will look at it again. They charged 24 parking fee without any notice. And the manager doesn't care about it. Bad attitude and not deserved for money. The hotel is so clean with hassle free check in. It has shuttle service to/from San Francisco International Airport. Just don’t use your debit card for the deposits as you may not have it refunded unless that you report to your bank and they will be the one to contact the hotel. Don’t believe the front desk personnel if they will inform you that it will be credited back immediately. My bank was the one who contacted the hotel and credit was make for about 6 weeks. You could walk to Burlingame and there are quite s few restaurants on offer on broadway. Hotel shuttle was great and useful. I do want to mention a couple of minor facilities issues in the room - 1. hair dryer weren't working 2. small leak in basin tap. otherwise a great hotel for short stay. this hotel quiet good for who lookin place to stay near airport. best choice, best staff. Just about 15 mins to the SFO airport, very convenience you won't miss a flight. airport shuttle was quite convenient. we had 9pcs of luggage. the driver was pleasant and helpful. reliable airport shuttle. 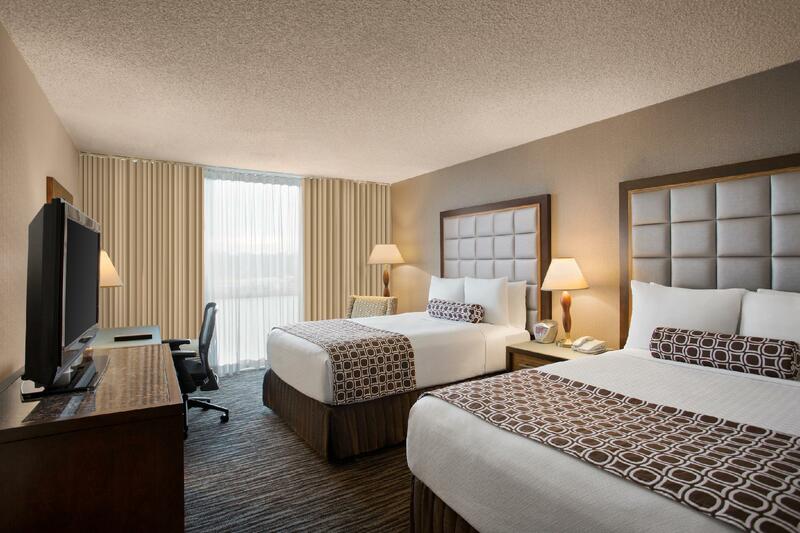 clean Hotel room with comfy bed. Not bad for an over night stay. 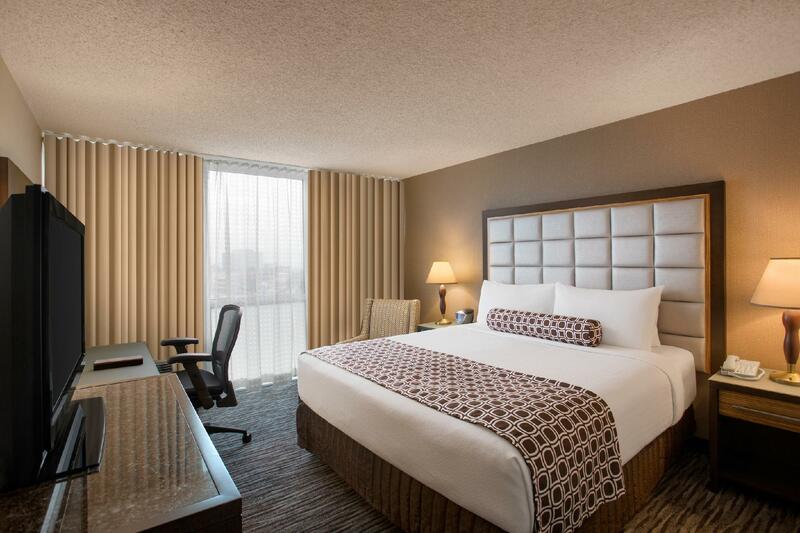 Please note that you will be charged $24/night for parking even as a guest of the hotel. Just stayed for one night. Shuttle service to and from airport is convenient. Clean comfy room. the hotel provides free shuttle to airport. room is spacious. staff is friendly. The room was spacious, especially compared to the cramped rooms we had in Japan for a higher price. The bed was large, clean, and comfortable. The bathroom was well appointed and spotless. We loved that the airport shuttle came every 30 minutes. Everyone was friendly, and we had a nice experience. quite surprised by the condition of the hotel, especially the room. it is clean, however it is older in reality than in the photos. I would have chosen another hotel slightly more expensive but pretty sure is newer. the furnitures are old & i def won't be back.